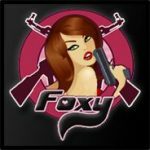 The original logo for Foxy Gamers (circa 2009). FOXY is not a clan, but rather a multi-gaming community for all gamers of the superior gender. You’re a GIRL. You’re a GAMER. You’re FOXY. diane on You’re a GIRL. You’re a GAMER. You’re FOXY. A WordPress Commenter on You’re a GIRL. You’re a GAMER. You’re FOXY. Foxy Gamers Copyright © 2019.